Now in its 17th year, the Caine Prize is awarded annually for a short story by an African writer published in English. 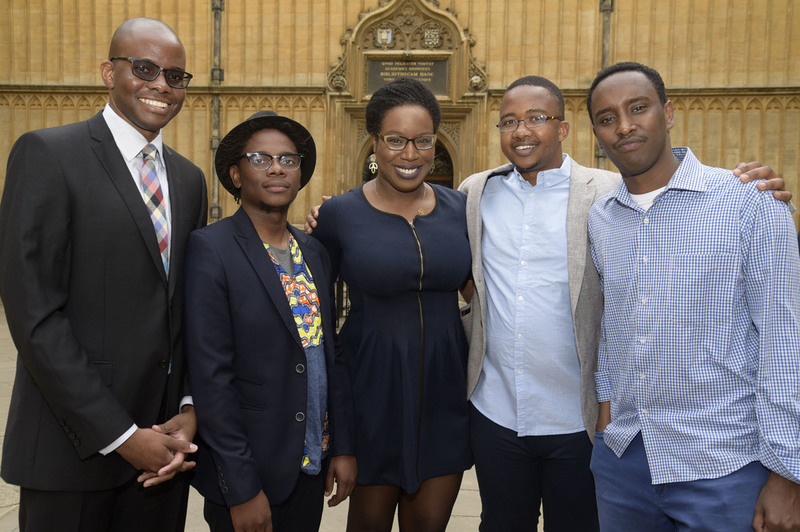 Considered one of the most prestigious African literary prizes, the winner receives £10,000 and a month’s residency at Georgetown University, as well as the chance to speak at the Library of Congress. Festival invitations also include Cape Town’s Open Book Festival Storymoja in Nairobi and Ake Festival in Abeokuta, Nigeria. Lidudumalingani, 31, is a writer, filmmaker and photographer originally from Zikhovane, and has only had one story published previous to this win. For 2016, writers representing 23 countries submitted more than 150 short stories, which were then whittled down to a final shortlist of five. Lidudumalingani made the cut alongside Lesley Nneka Arimah and Tope Folarin from Nigeria, Zimbabwe’s Bongani Kona and Abdul Adan, who is Somalian and Kenyan. Their stories all feature in the New Internationalist 2016 anthology, The Daily Assortment of Astonishing Things and Other Stories, alongside 12 other short stories written at the Caine Prize 2016 workshop in Zambia. Together they roundly dispel any myths of Africa's "single story". “I stared out into the landscape that began in my mother’s garden and stretched far beyond sight. The sun was setting behind the forest and dust was floating everywhere. Where the dust was dense, one could see it sway this way and that way as if in the middle of a dance. A sophisticated dance, the kind that, I imagined, happened in other worlds, very far from the village. The village was settling into repose. The cold summer air had begun to torment the villager’s bare legs and arms. Everything was in silhouette, including the horses that trotted across the veld, the cattle that lowered their heads to graze, and the water that flowed down the cliff. The mountains, ancient but nevertheless still standing, were casting giant shadows over the landscape. The shadows stretched so far from the mountain that they began to exist as if they were solid entities on their own. In the middle of a story I was telling her, she gently rocked back and forth then began hitting the back of her head against the wall. For a short time I thought she was providing rhythm for my anecdote. It was only when she began to scream, in an attempt to churn this thing out of her, that I became alarmed. By then she had smashed her head and left blood on the wall. She had transformed into someone else. She was not here. I tried to grab her or whatever was there. I tried to make her stop. I held her hands, bound them behind her back, laid my body against hers, but she pushed me away easily with a strength that came to her only when this thing tore her apart. Had it not been a mud wall, an old one at that, she would have cracked her skull open. Instead, she cracked the wall with her head.